Product categories of Custom Bangle, we are specialized manufacturers from China, Custom Bangle, Custom Men'S Bangle suppliers/factory, wholesale high-quality products of Custom Women'S Bangle R & D and manufacturing, we have the perfect after-sales service and technical support. Look forward to your cooperation! The Custom Bangle in our company are main made of 316L stainless steel and other mental, we also have other metal, like Zinc, Alloy, Copper, 925 sterling silver etc. And we have many colors can be chosen, gold, black, rose gold, matter color and antique etc.The main technology is plated PVD. The JMY bangle collections are exquisitely unique creations that can be matched with the stunning selection of earrings and bracelets. 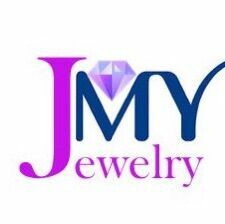 The JMY bangle collection represents the brand`s modern luxury philosophy to demonstrate your temperament.